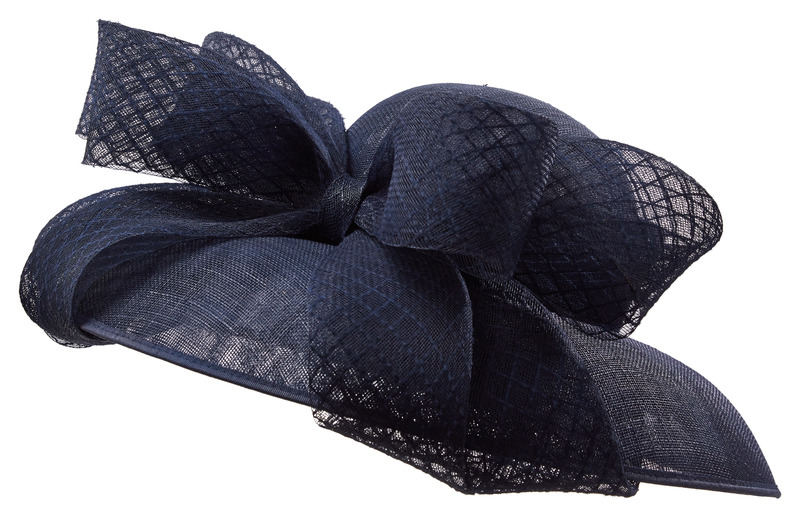 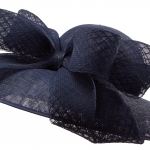 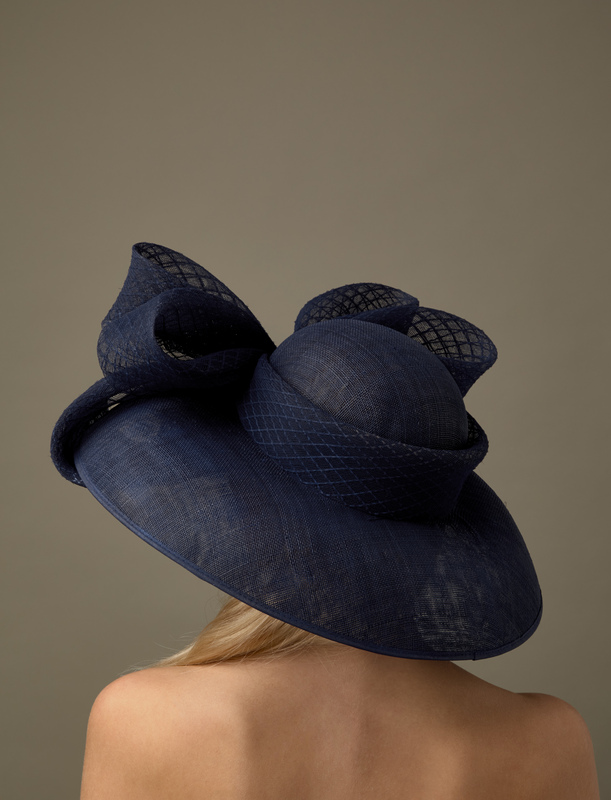 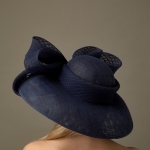 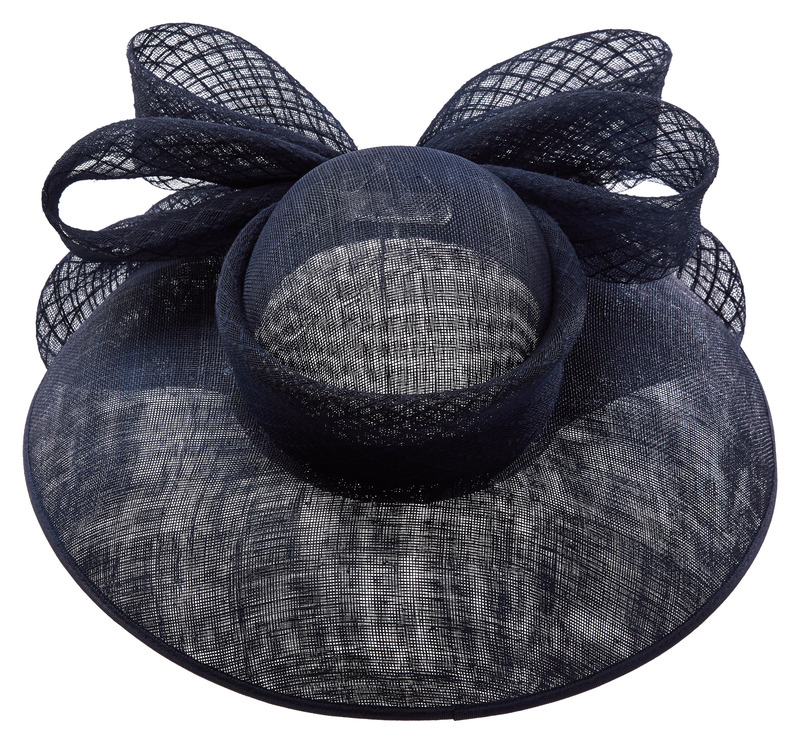 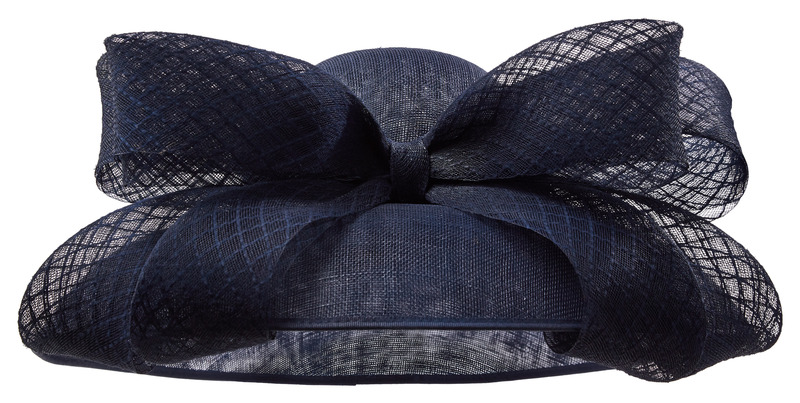 The Moet hat comprises a drop brimmed sinamay base trimmed with a large, double-looped, diamond patterned sinamay bow. 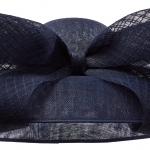 The loose ends of the bow wrap neatly around the brim edge. 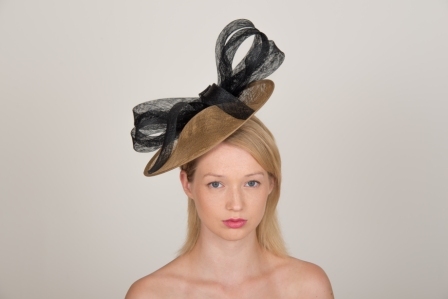 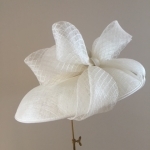 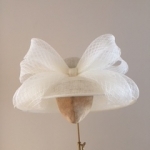 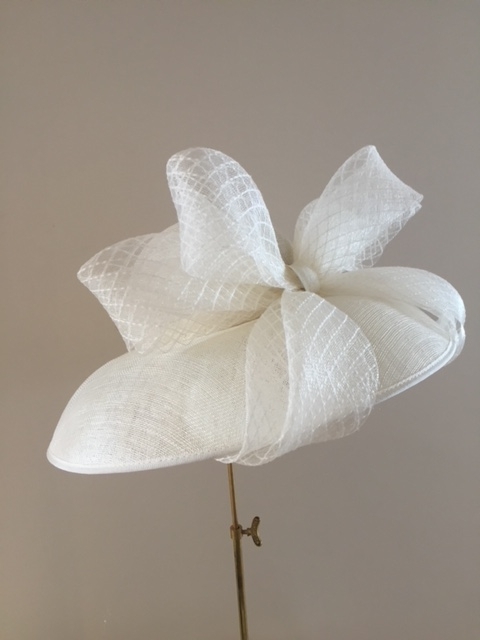 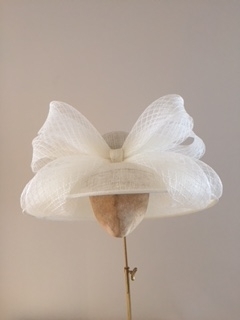 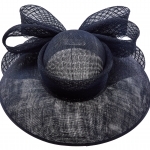 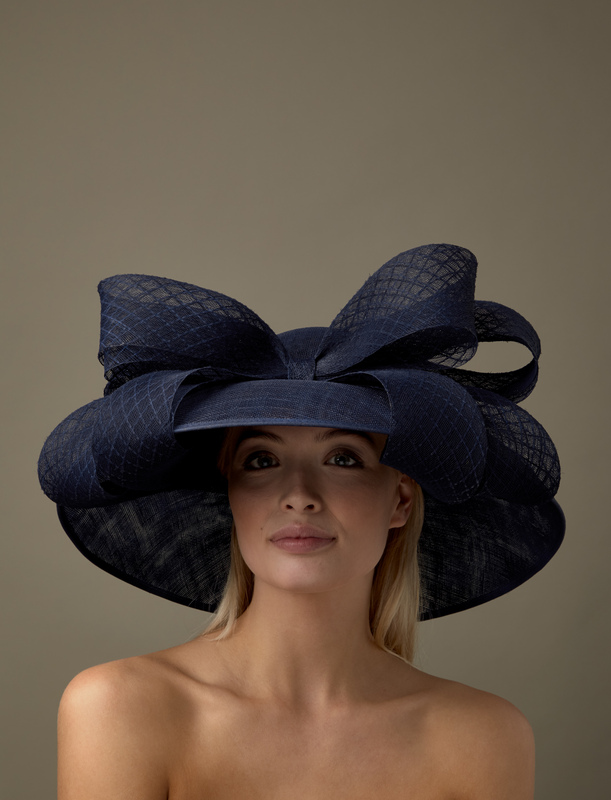 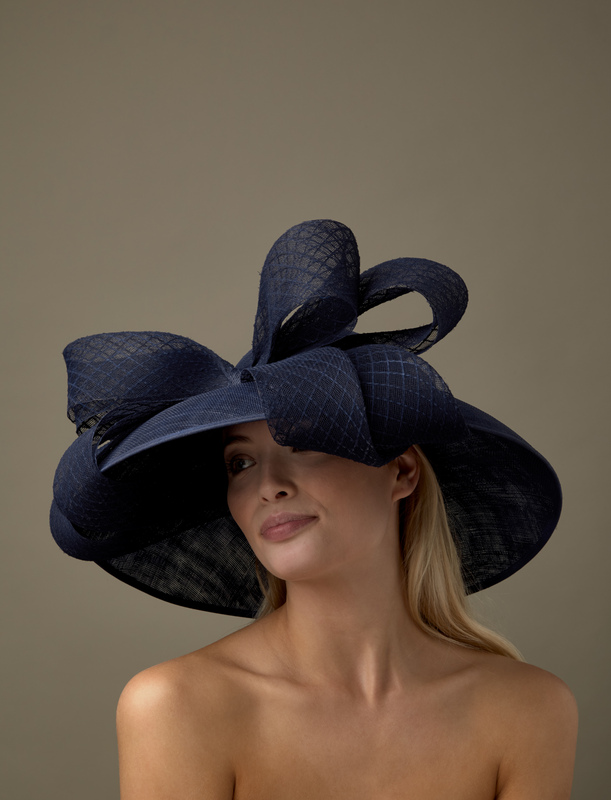 The Moet hat is a classic hat and will look fantastic on a Mother of the bride or groom as well as at Royal Ascot.